How much power does the BX Subwoofer have? How can I tell if the BX Subwoofer is overheating? How do I bypass the BX Subwoofer? Can it be brought to other countries with different power supplies? 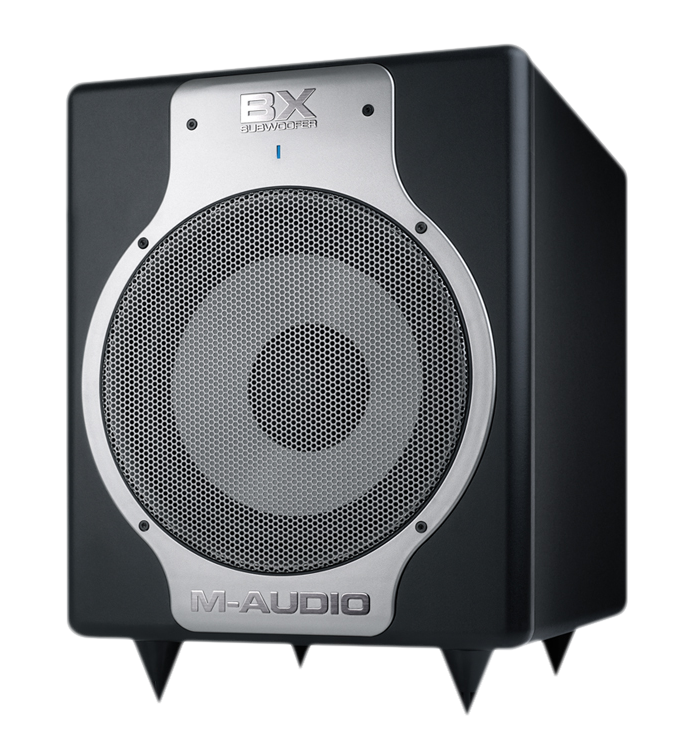 The M-Audio BX Subwoofer can output 300W of output and contains a transducer driver utilizing a 10" composite diaphram and a well damped rubber surround. The BX Subwoofer has a built-in Overheat Mode in case it begins to overheat. During normal usage, the LED on the front of the BX subwoofer will be blue. It will flash blue and red when it is in Bypass Mode and if the LED on the front of the subwoofer turns red, then the BX subwoofer is overheating and should be powered down to allow for the heating coil to cool. The feet on the bottom of the BX Subwoofer allow for the sub to be up off of the floor, however the feet are removable for added flexibility. The BX Subwoofer can easily and instantaneously be bypassed by connecting a standard momentary, non-latching footswitch to the Subwoofer bypass input on the rear of the device. Stepping on the footpedal will toggle between actively using or bypassing the BX Subwoofer. Yes! Simply obtain a corresponding IEC cable for the correct wall power connection and adjust the switch on the rear of the unit to the correct corresponding power supply.